Now even easier to use Template "clings" to smooth sewing surfaces so it's always in position, ready to sew any 45 angle accurately. Never draw another line. All without paper, pencils, or pins. Save time and money. 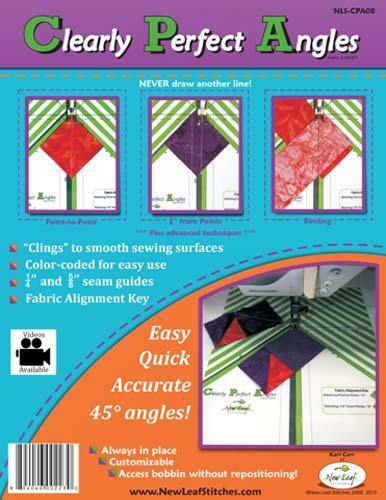 The Fabric Alignment Key along with the color coding makes the CPA easy to use. The two basic techniques can be utilized with any of the advanced techniques for making half square triangles, flying geese, snow balls, miters and binding. 14" and 58" seam guides are included. Customizable to any sewing setup.